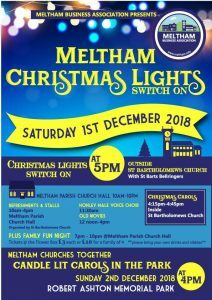 Coffee Morning & Christmas Fayre + other activities + Christmas Lights switch on! Stalls include Tombola, Preserves, Crafts, Cards and Paintings. Refreshments will be served day – Mince Pies & Mulled Wine available. Also a visit from Honley Male Voice Choir and from 12.00pm. Laurel & Hardy, plus other old movies, will be shown. 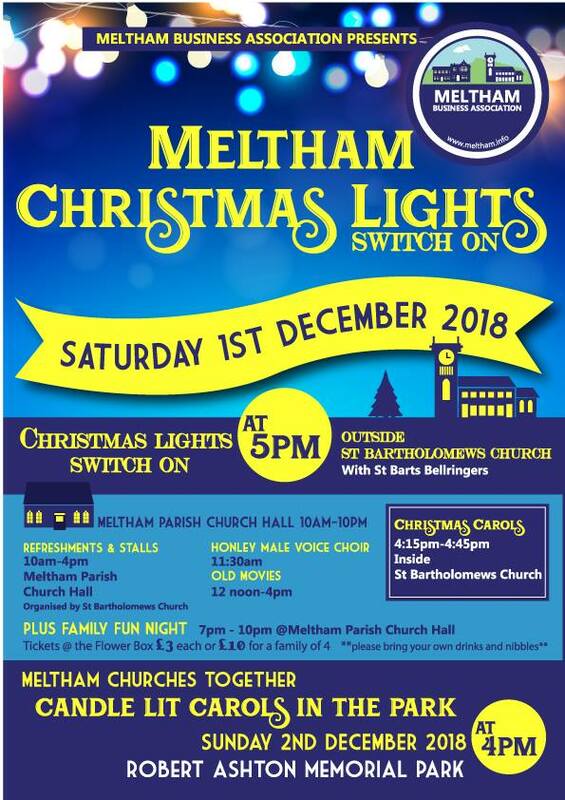 At 4.15pm there will be Carols in St Bartholomew’s Church and then the Christmas Lights are to be switched on at 5pm, followed by a Family Fun Night in the Church Hall at 7.00pm (tickets £3 each or £10 for a family of 4).